Opening with the GJR line in 1837 to server to mining community of Portobello, the station never ignited the interest of the travelling public and was closed in 1873 after just 36 years. The major problem appears to be that in the pre-commuter days, the majority of people lived within walking distance of their homes and so train travel wasn't a necessary part of their lives - particularly during the early years of the railway. 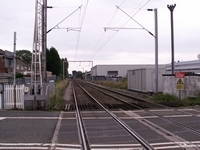 Apart from a fatal accident on 19/10/1899 when a passenger working collided with a goods service near the station site, Portobello has had a relatively inauspicious railway history. 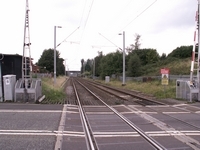 Above we see the crossing on Noose Lane: the station lay immediately to the left. 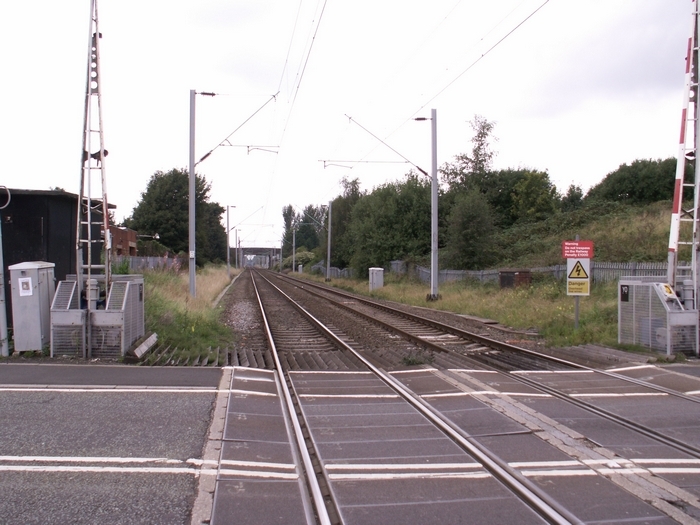 Above-left, as would be expected, some 135 years since closure, the site of the station today yields nothing indicating its past. 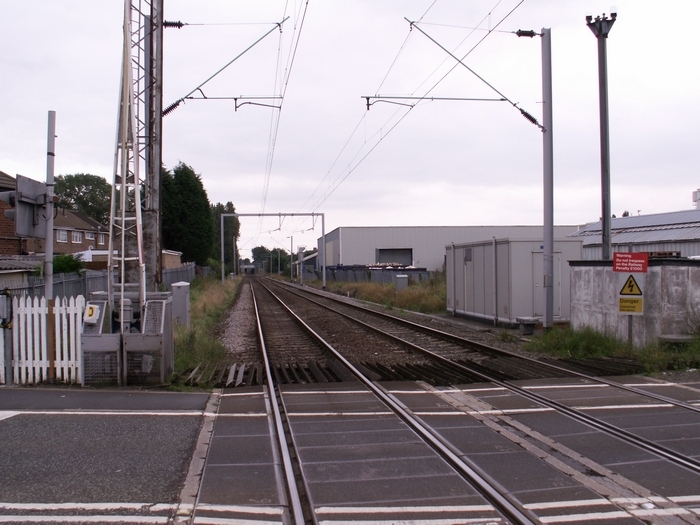 The site is seen here on 14/09/08 viewed from the Noose Lane level crossing looking in the direction of Wolverhampton. 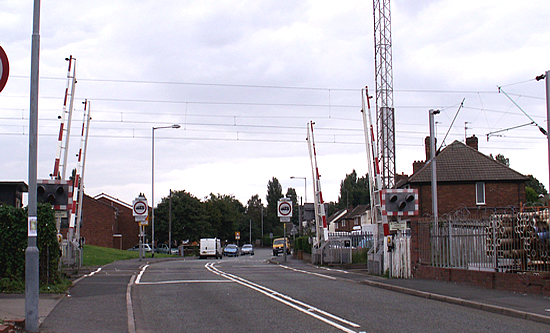 Above-right, also from the Noose Lane level crossing, with the station site to the rear, we see the line heading off towards Walsall.